Tue., March 15, 2016, 12:11 a.m. The Gonzaga women’s basketball team earned its 10th straight postseason appearance Monday night, when the Women’s National Invitation Tournament extended an invitation to the Bulldogs. The Bulldogs (18-13) will host UC Riverside on Thursday at 6 p.m.
Gonzaga is one of four West Coast Conference teams to earn WNIT bids; the others are Saint Mary’s, Santa Clara and San Diego. USF and BYU will represent the WCC in the NCAA tournament. 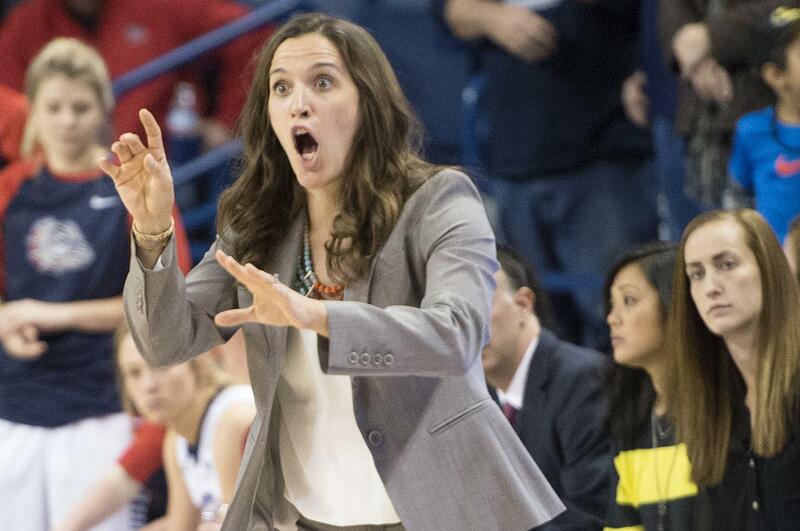 This is the fifth time GU will play in the WNIT, and first since 2007-08. That season, the Bulldogs completed a 25-9 season in the second round of the WNIT. UC Riverside is 23-8 overall after losing in the semifinals of the Big West Conference Tournament. The Highlanders own double-digit wins over San Diego State and Fresno State and lost by only six points at then-21st-ranked Cal. Riverside ranks 66th in the RPI rankings, a full 50 points better than Gonzaga. The Highlanders swept the Big West regular season with a 16-0 record and have won 17 of their last 18. The Bulldogs have dropped four of their last five. Thursday’s contest will be GU’s first since a 59-58 loss to Santa Clara in the WCC quarterfinals on March 3. If Gonzaga wins, it would face Utah or Montana State; if it’s the Bobcats, sisters Laura and Lindsay Stockton will get one more chance to play against each other. They last met on the court in a 65-52 Gonzaga win on Dec. 6 at McCarthey Center. Despite a 20-win season and a second-place finish in the Big Sky Conference, Eastern Washington didn’t receive a WNIT invitiation. “It’s absurd and I don’t understand it,” said EWU coach Wendy Schuller, whose team made the WNIT field last year with an identical record and won at Washington State in the first round. The bad news came a few hours after Big Sky tournament champion Idaho was assigned a 16 seed in the NCAA tournament and a date at No. 1 seed Baylor in the NCAAs. “I’m frustrated for our league right now,” said Schuller, whose club lost to the Vandals in the Big Sky semifinals last week in Reno, Nevada. EWU is 171st in RPI and lost three of its last four games. Published: March 15, 2016, 12:11 a.m.